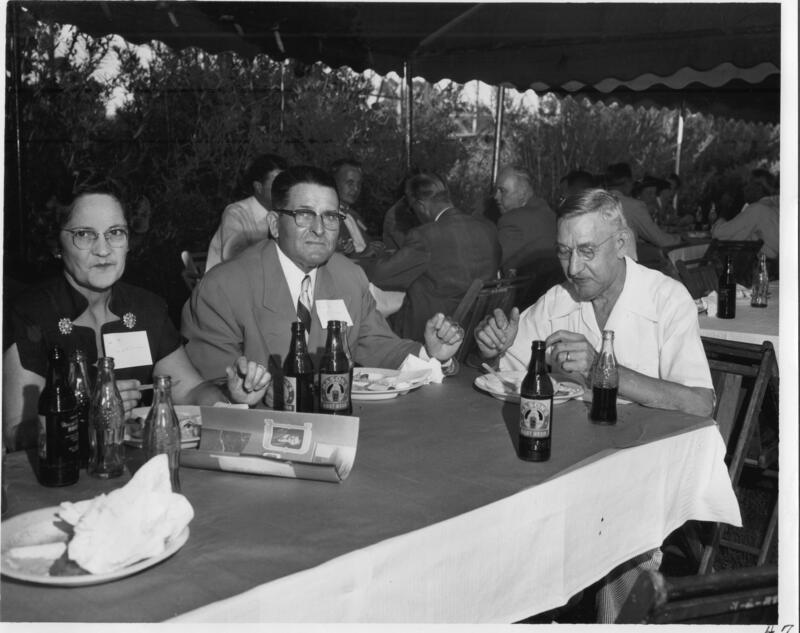 Description: Photograph of guests eating dinner at the Dollinger Steel fiftieth anniversary celebration. Each guest has a name tag pinned to their shirt, though none can be read. They are seated at a dining table with plates of food and bottles of soda, some being "Mason's Root Beer" placed in front of them. A copy of "The Dollinger Story" is at the left side of the table. Other guests are dining in the background. The area is covered by a tent.